Each student is responsible for knowledge of the information appearing in the 2018–2019 Northwest Iowa Community College Catalog. Failure to read the regulations will not be considered an excuse for non-compliance. The College reserves the right to change policies, tuition, fees, admission standards, regulations and curriculum without notice or obligation. The official College curriculum is that contained in the master file. 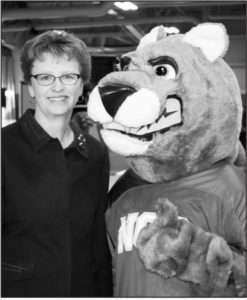 Our mascot Thunder and I welcome you to Northwest Iowa Community College (NCC), fifty plus years strong, the best community college in Iowa and one of the top 10% in the nation! Why should you choose NCC? T – The 40+ programs and services in this catalog plus caring staff/faculty will help you reach your goals. You will be able to easily transfer your credits or apply your skills at your current or future job! H – Here everyone knows your name in small classes (13:1), our fab labs, and anywhere on campus. Our passion is to serve you with flexible class options, the latest technology, and free tutoring. U – Unparalleled opportunities abound at NCC to advance your career while you have fun and grow. 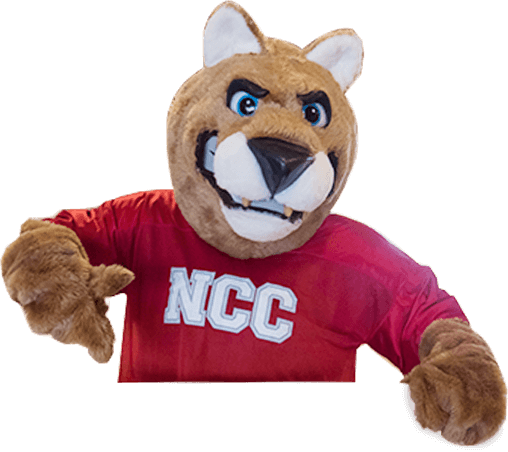 The highest graduation rate in Iowa and national rankings like #11 “The Best Schools” in the U.S. make NCC the smart choice! N – Nearly 12,000 alumni attest their first two years of postsecondary success impacted them the most. NCC is affordable. Nearly 100% of our students get jobs. Many employers hire our grads first. D – Develop leadership skills by getting involved in our many campus clubs and service organizations. Expand your resume with Student Government, SkillsUSA, Multicultural Club, or other activities. E – Experience campus life by living in one of four fantastic residence halls or commute to campus. Your choice. Osceola Hall is brand new. Live here, in a nearby community, or at home! R – Ready? Thunder, our remarkable staff/faculty, and I believe in you. You can do this! It will be a life-changing experience. We are here to serve you. Your success is our story. All of us at NCC, including Thunder and me, hope to meet you very soon at our award-winning college. In the meantime, get more information through this catalog, our website (nwicc.edu), Facebook (/nwicc), Twitter (@nwicc), LinkedIn, phone, email, or a campus visit, perhaps on Thunder Fridays.